As the primary consumer of my spare time and major contributor to my aggravation, the hard disk crash I experienced on Friday has completely re-arranged my life this weekend. What was to be a relaxing weekend catching up on work around the house and/or watching a few good shows, has devolved into time spent in my office, bent over a keyboard and glaring at a monitor that is bereft of good news. This issue is a bad hard drive. Bad as in kaput. Gone. Dead. Without troubling you with the gory details, it appears Windows Vista is corrupted beyond repair, or so says the recovery repair CD. I am not sure what happened. Maybe there was a physical error on the drive, which then corrupted the files or I somehow corrupted the files in such a way that recovery was impossible. All I know is that I have errors on my drive and an unusable system. Yes, I know I'm cute... now put down the camera and take me outside already! Our main computer is still under repair as we speak. I’m reinstalling Windows and then will start the lengthy task of reloading all of the software programs, files and settings that I had prior to the crash. 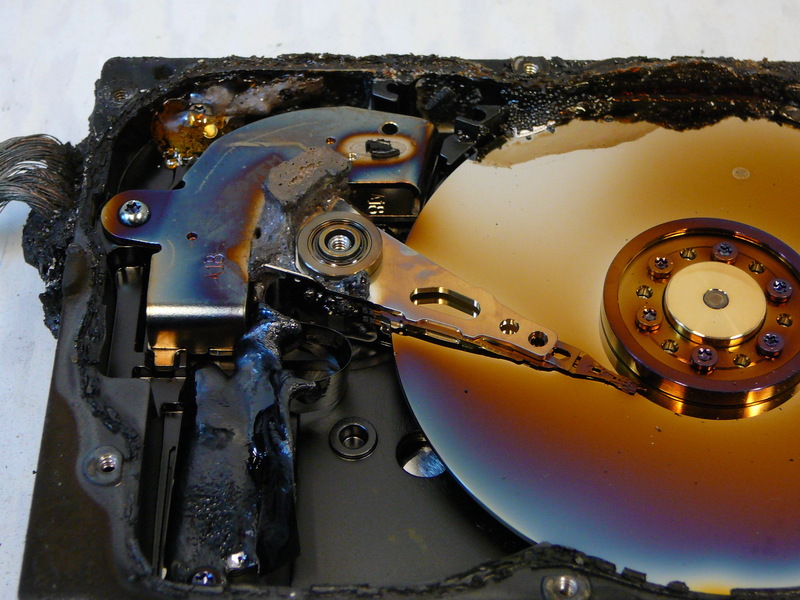 One BIG lesson learned – get a second hard drive and automatically backup your data. This entry was posted in Computer and tagged computer, crash, Diesel, hard drive, puppy, Yorkie. Bookmark the permalink.